THE UEFA Champions League kicks off next week with a handful of first qualifying round ties. The top seed in the draw was none other than The New Saints of the Welsh Premier League, and the Oswestry-based club will play host to Gibraltar’s Europa FC. 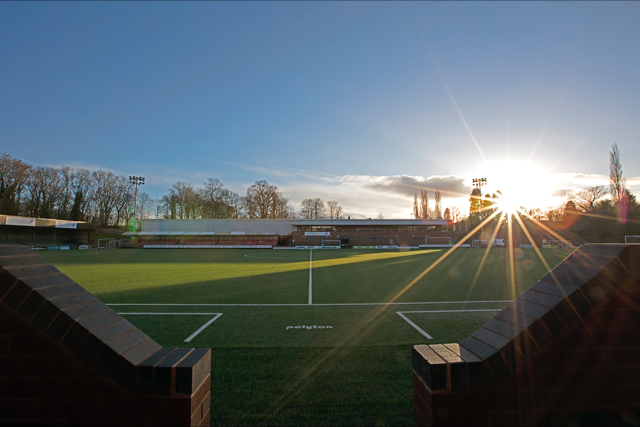 Essentially, in terms of crowds, finance and status, the Welsh Premier League, which TNS have stood astride for the past decade, is comparable to non-league football in England. The big difference is that the Welsh Premier is representative of a nation and its teams can find themselves rubbing shoulders with top clubs from across the continent. Oswestry’s famous sons include Ian Hunter, lead singer of Mott the Hoople, poet Wilfried Owen and golfer Ian Woosnam. There’s little denying that TNS are the “poster child” for the league and for its broader development. As the only full-time club in the Welsh Premier League, they clearly have an advantage over their closest rivals. But it wasn’t very close in 2016-17 as TNS were champions by an astonishing 27 points, their best-ever margin at the top, and 20 more than 2015-16. “Going full-time gave us the chance to lay the foundations for what we see today. We were able to invest on and off the field, attract good sponsors and develop a philosophy for the club,” says Harris. Bringing players through the system is important to a club like TNS. 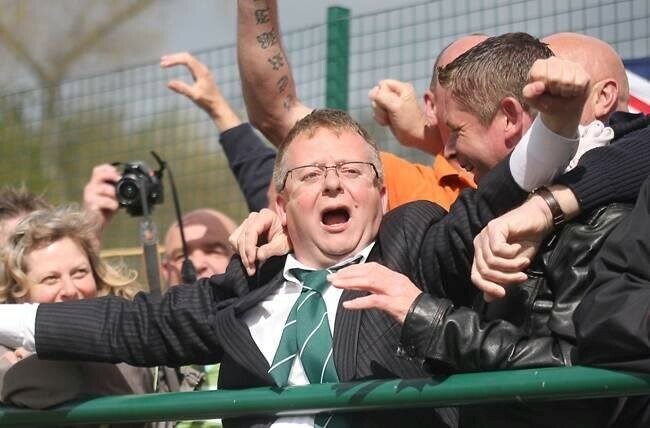 They may be full-time, and they may have a turnover that has risen from something like £45,000 to £2m, but Harris runs the club on a playing budget of £600,000 which may seem small compared to the top level of the game in the UK, but is significant in the Welsh Premier. “We have a strict wage structure,” he insists. And the latter is an important element for the club’s evolution. Originally founded in 1959 as Llansantfraaid FC (a team from a village of 1,000 people), they won the Welsh Cup in 1996 and played in the European Cup-Winners’ Cup. Total Network Solutions, an IT company owned by Mike Harris, sponsored the club and changed its name to bear the name of the company. It was the first example in the UK of a football club renaming itself after its sponsor. In 2003, TNS merged with Oswestry Town and three years later, Total Network Solutions (the company) was taken over by British Telecom. Hence, the club’s name became The New Saints. Special thanks to Mike Harris and Stewart Bloor of TNS for their cooperation. GOTP wishes TNS the best of luck in their European exploits this coming season.